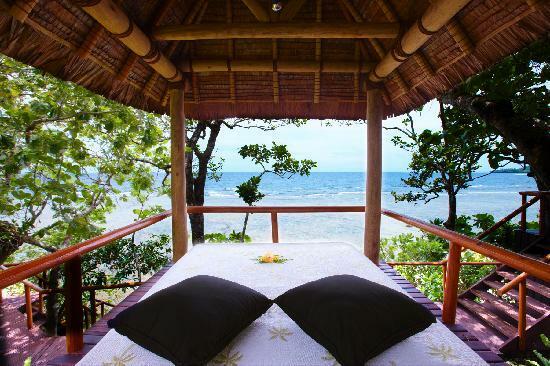 Want the top exotic tips for your luxury Fiji holiday? I bet you do! Discover these 10 nifty ideas to make your lavish getaway that much more perfect. Let's get started on the best luxury Fiji holiday tips to make you feel like the king of your own castle... err, I mean island! 1. 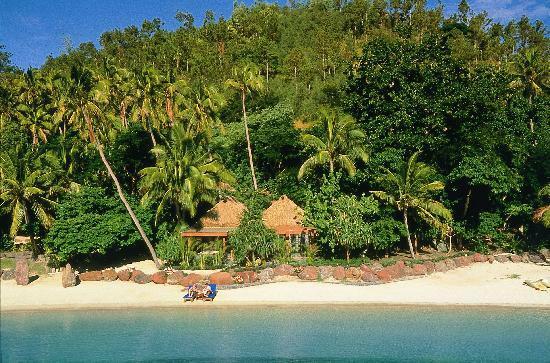 Rent the whole island or resort - Do what the celebrities and rockstars do in Fiji. Book out the entire island for absolute privacy and have all the staff wait on hand and foot just for you. There will be no queues for any activities and you will always get your favourite spot on the beach or restaurant! 2. Or a luxury resort with your own isolated bure and beach - If booking the entire resort for over $100k per night is just not your thing, then this will be. Your own bure and your very own private beach. Not bad, eh? 3. 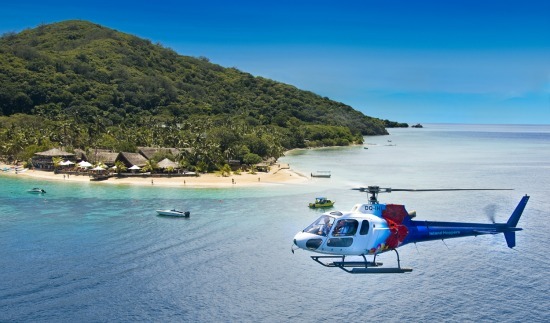 Helicopter joy flight - This could be your mode of transport to your secluded resort. If not, take a heli trip over Fiji's beautiful islands and choose one to spend the day at! 4. 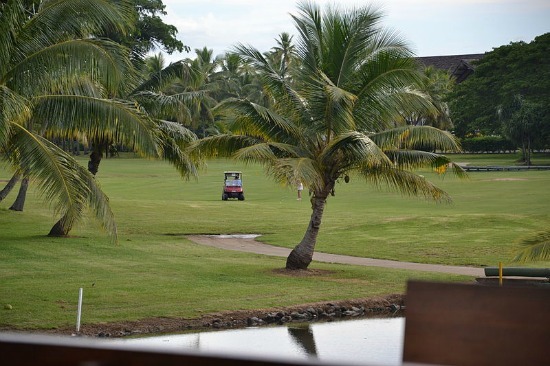 Playing golf - Some Fiji luxury resorts have their own golf course or... just take a helicopter ride to one. As was the case with me, my good friend and I had the golf course to yourselves and we were able to pull up under a palm tree for half an hour, with the beer cart doing the rounds to service us. 5. 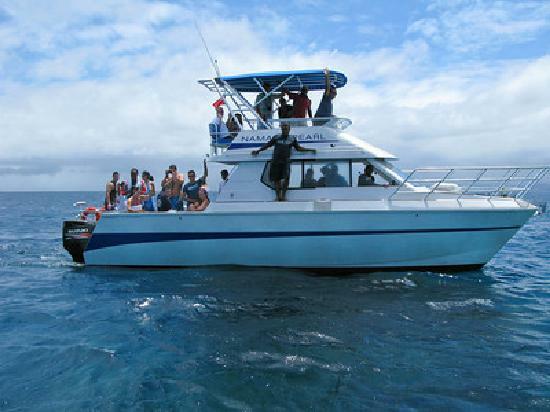 Diving - Hire out the dive boat for just you and your friends for the day. Fiji diving is world class and imagine having the reefs and marine life all to yourself! 6. 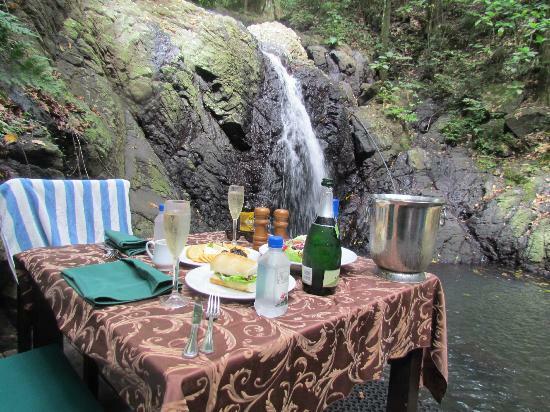 Lunch at an exotic location - Have you ever thought it would be possible to have a champagne lunch next to a waterfall while you are waited on? Now you do. And oh yeah, just fall off your chair into the water to check that you aren't in a dream. 7. Dinner on the water - And you thought the waterfall champagne lunch was exotic. 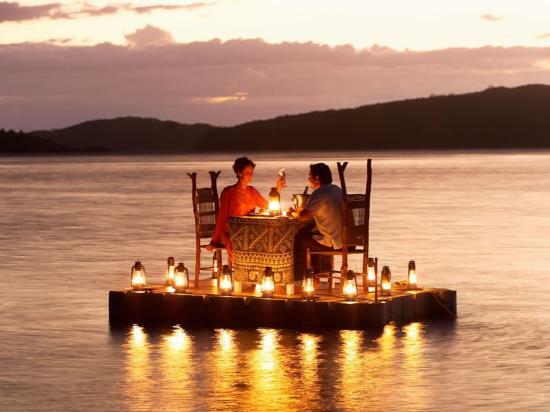 How about a romantic dinner on a pontoon at sunset? 8. Spend all day at the spa - I'm inclined to think that getting an oil massage next to the beach with the sound of the waves and the cool of the breeze is as relaxing as it gets. 9. Cruise - After you've explored Fiji from the air, now it's time to explore from the water. 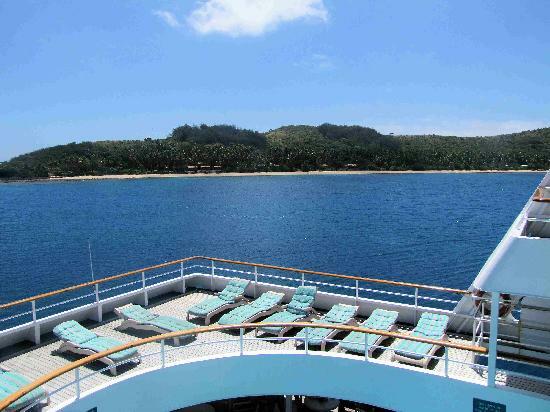 There are a number of cruise Fiji options with various lengths. Choose one to suit your holiday. 10. Lock yourself in - Relax in your exotic bure with your own pool the whole day and let the food, drinks, massages, and the cool breezes come to you. The one stress you might have, is to periodically move into the shade as the sun rotates. Although, I'm sure the staff will be of assistance if you feel overly burdened.